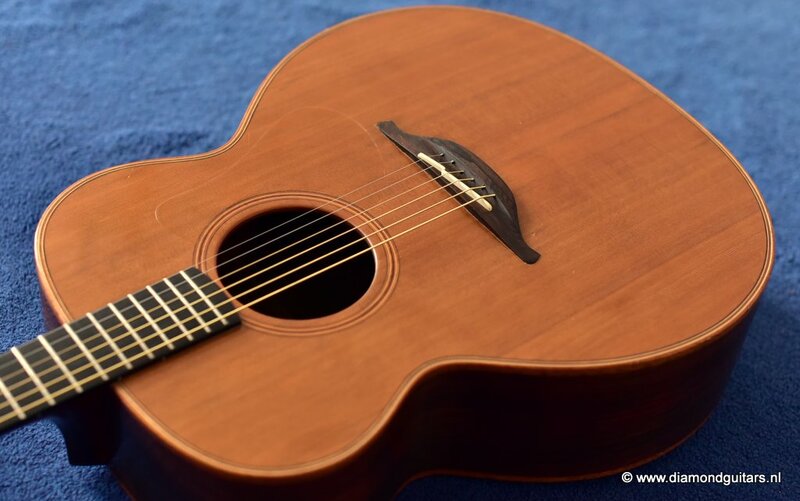 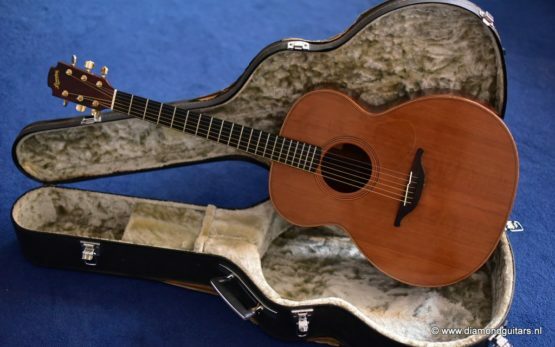 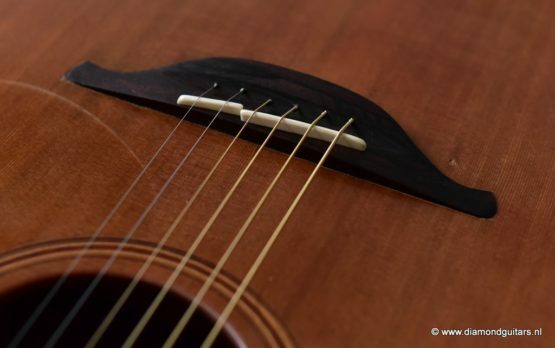 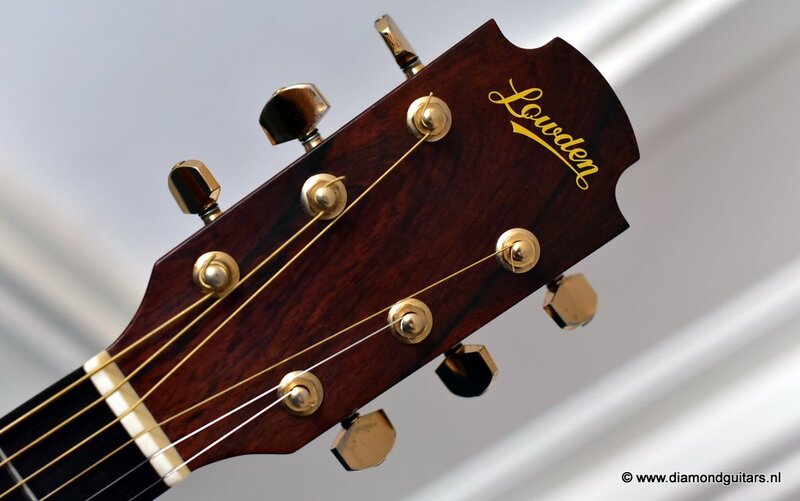 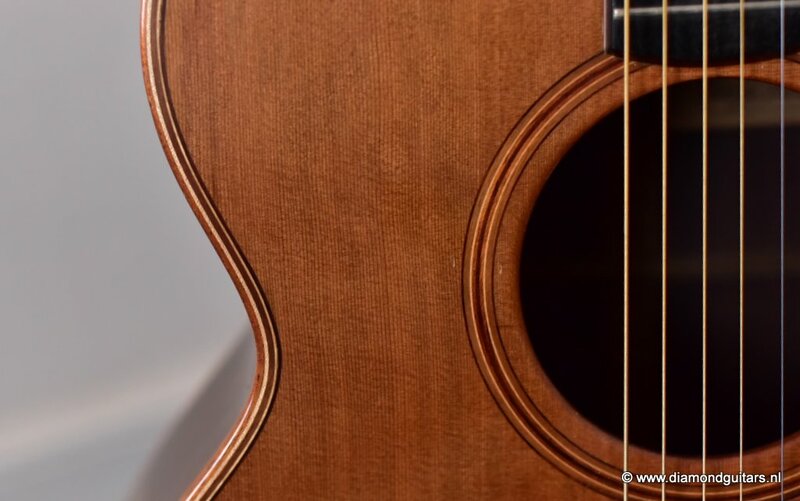 Here is a vintage 1981 Lowden L-25 made in the Yairi Workshop in Japan. 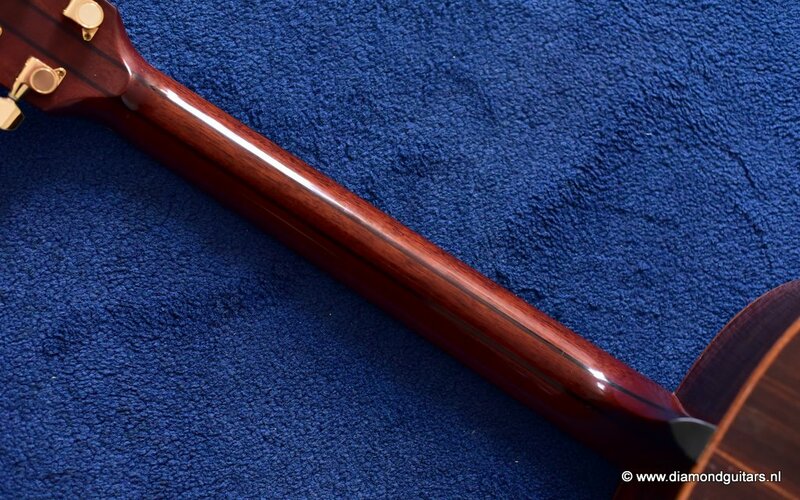 O-model size with serial #733. 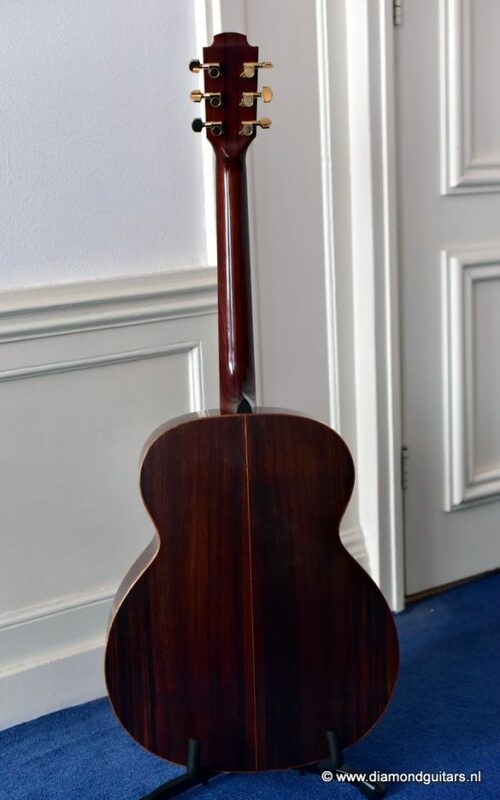 This amazing sounding jumbo style guitar has a Red Cedar top and Indian Rosewood back and sides. 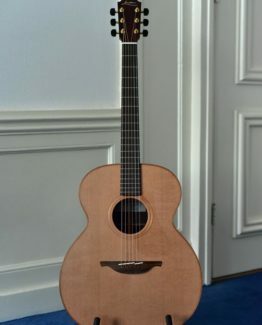 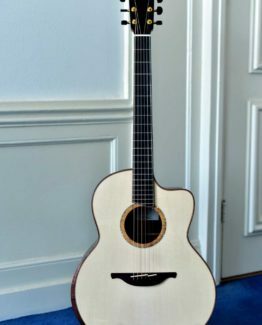 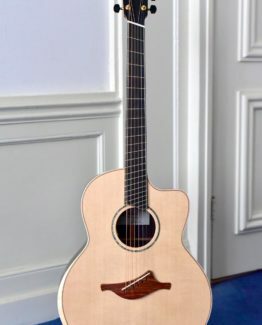 This hand build by Kazuo Yairi Lowden L25 is fantastic for fingerstyle playing but can also put out some serious sound with a pick. 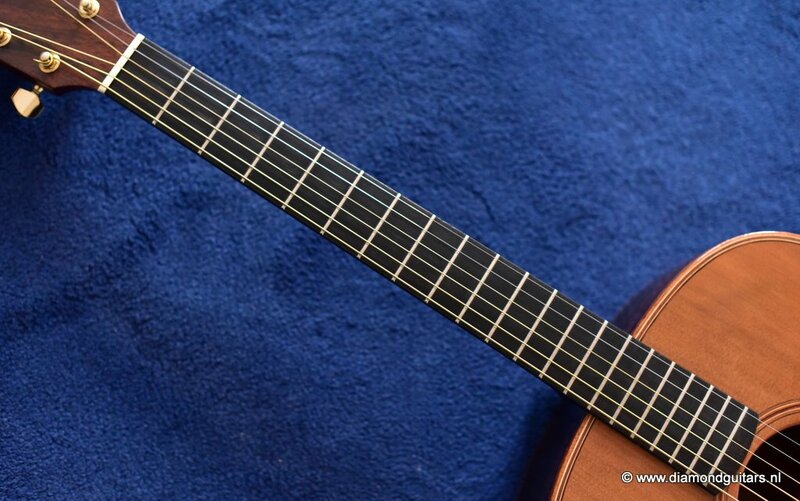 The action is low (2.25mm @ the 12th fret) and the intonation is just about perfect. 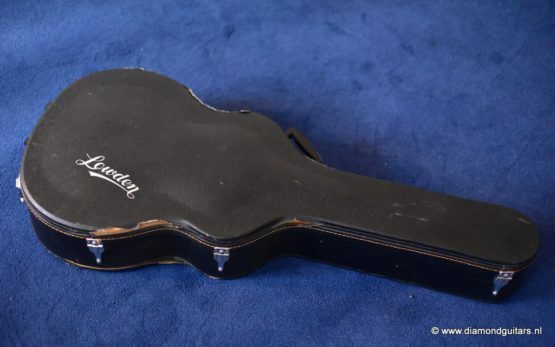 The bridge was proffesionally reglued. 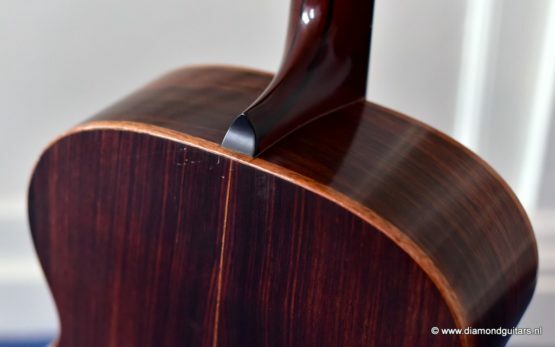 The neck is dead straight and the frets show some playwear. They still have many miles to go. 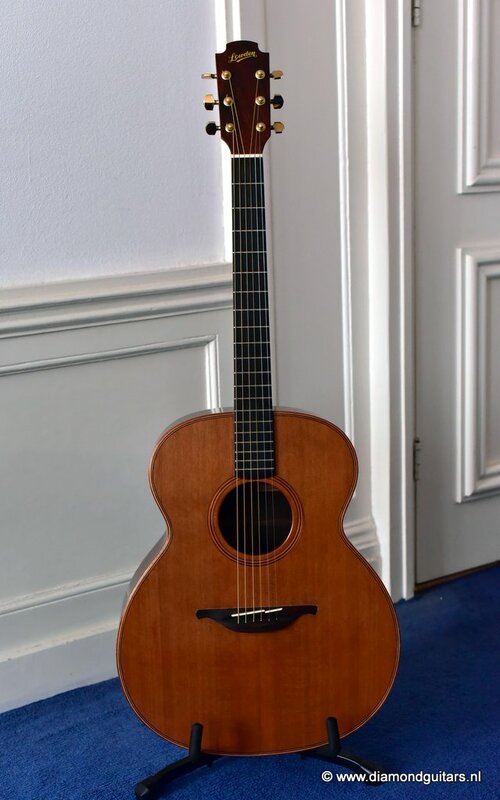 She plays effortlessly. 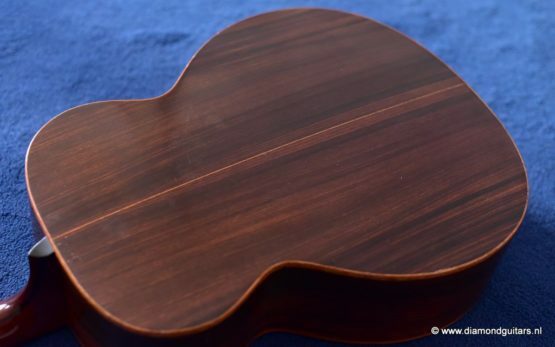 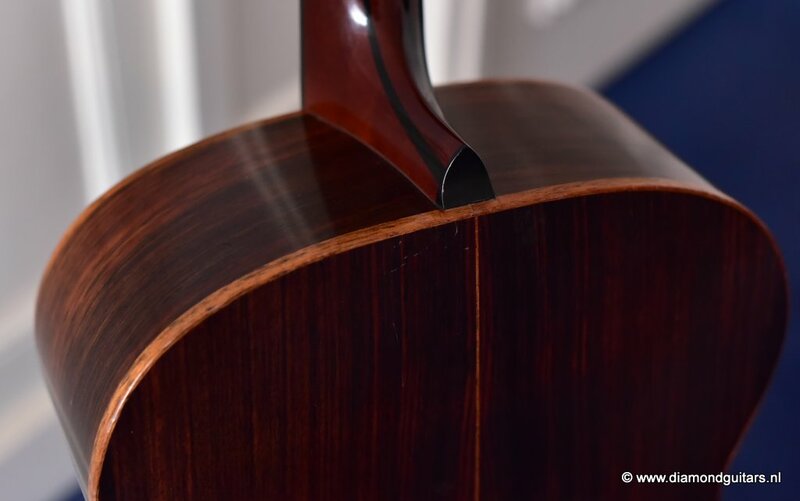 The original Lowden hard case is fair shape. This guitar was well played and taken very good care of. 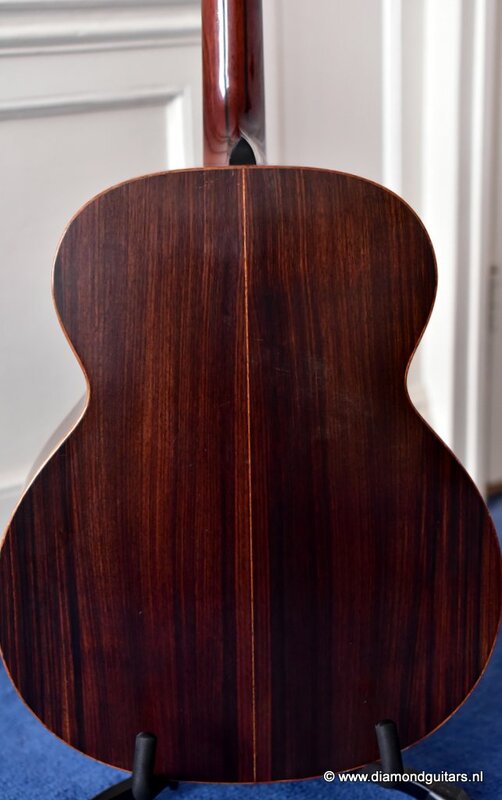 There is some pick wear and dings on the cedar top, various surface scratches and some dings in the binding. 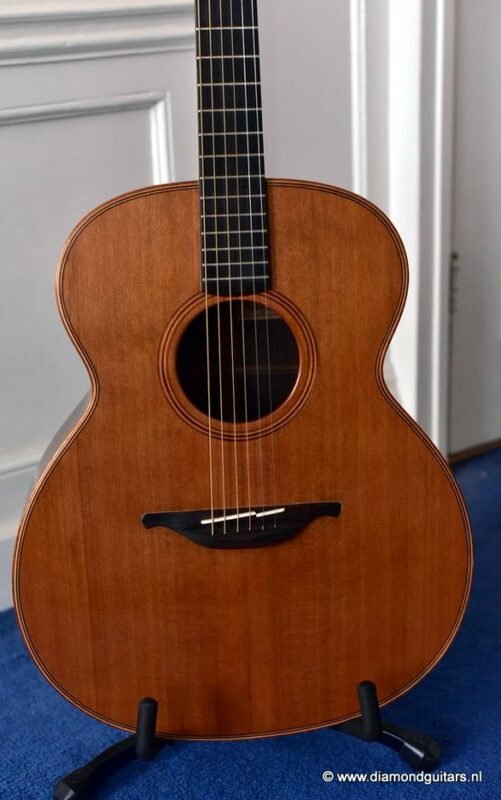 For an almost 40 year old guitar I rate her condition as excellent. 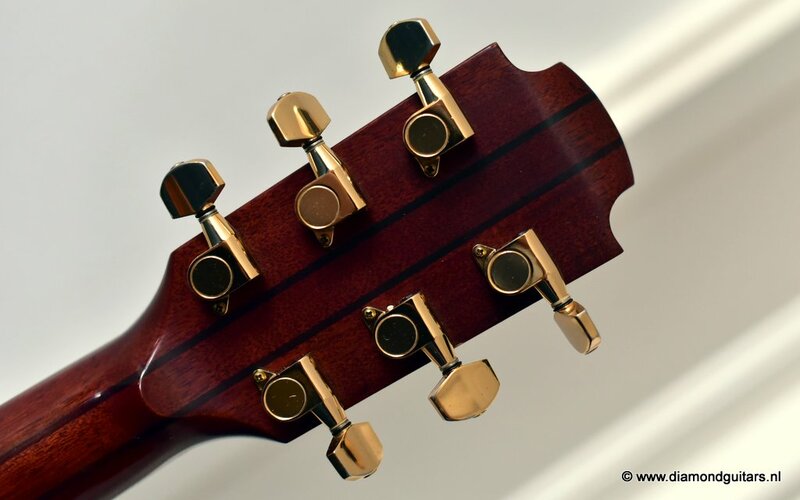 The Yairi guitar workshops are situated in the mountains in Kani, Gifu, Japan, where guitars are hand built since 1935. 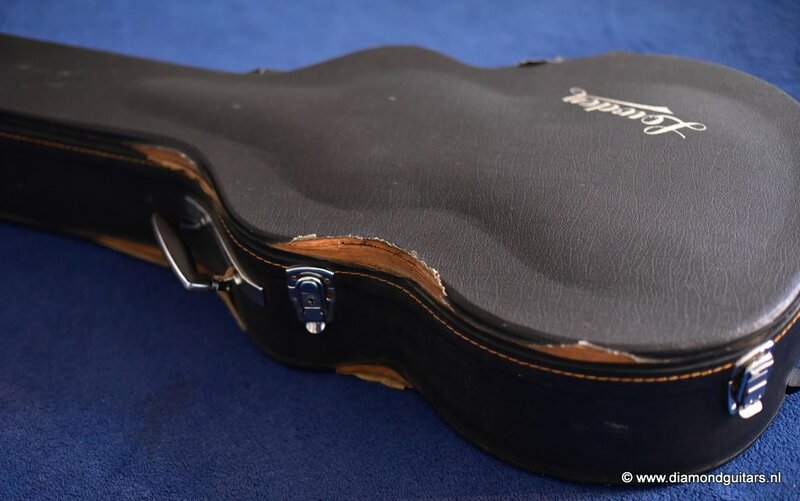 To date almost nothing has changed for many years. By continuing to work by hand, old style, Yairi perpetuates a tradition of the region where instruments have been made for generations. 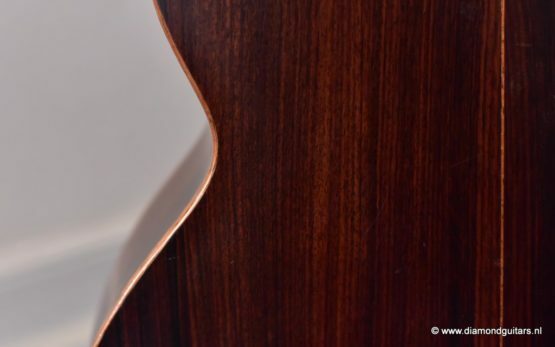 The luthiers cultivate and develop the local expertise, unique in Japan and probabaly in the world. 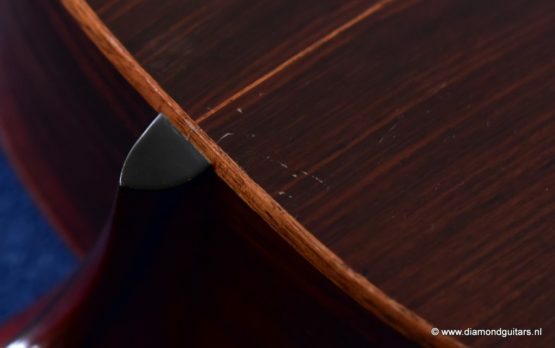 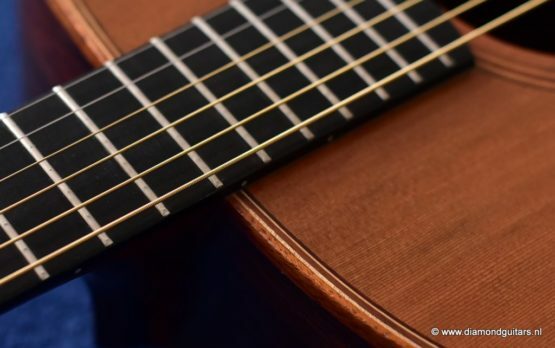 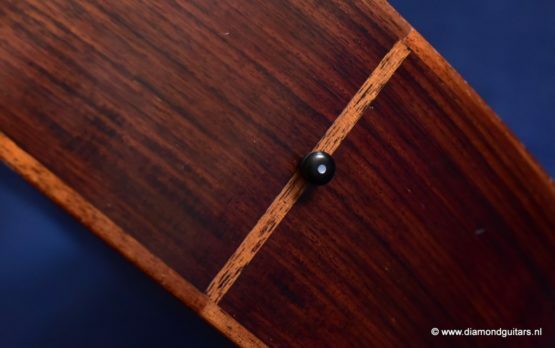 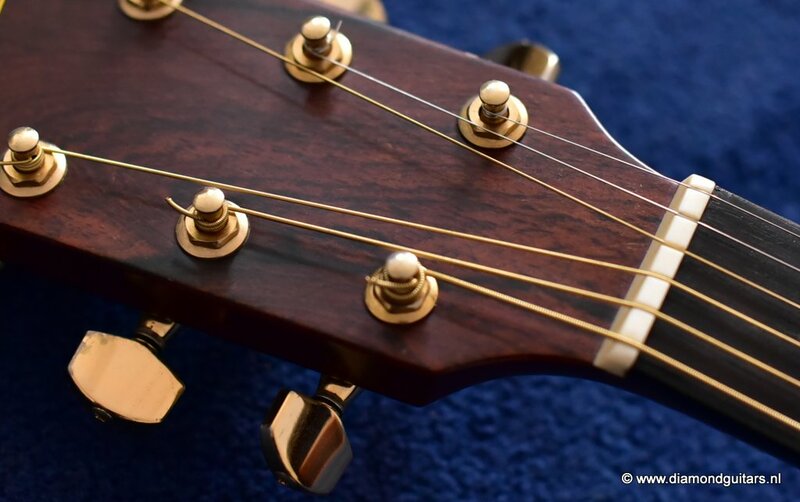 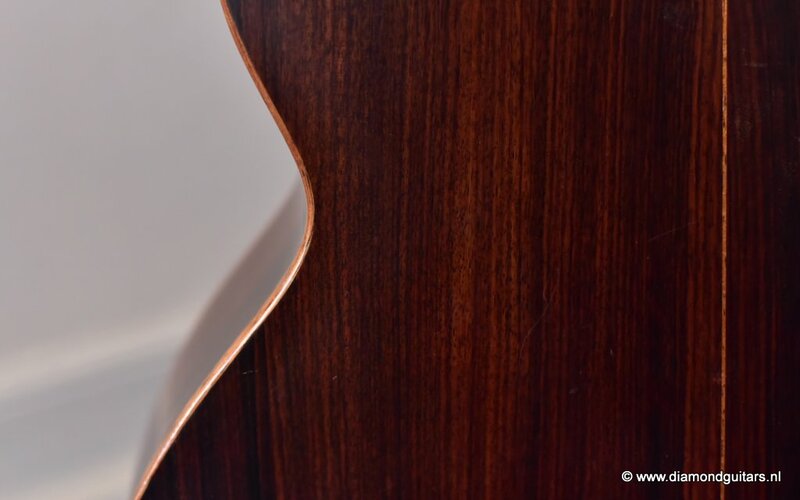 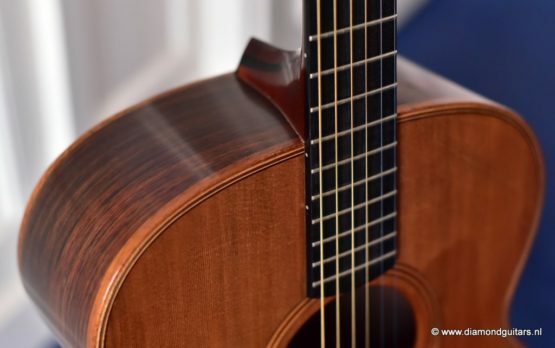 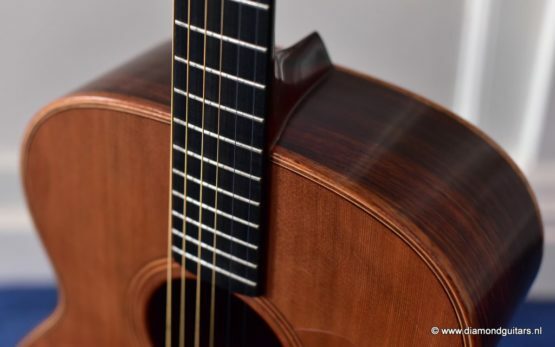 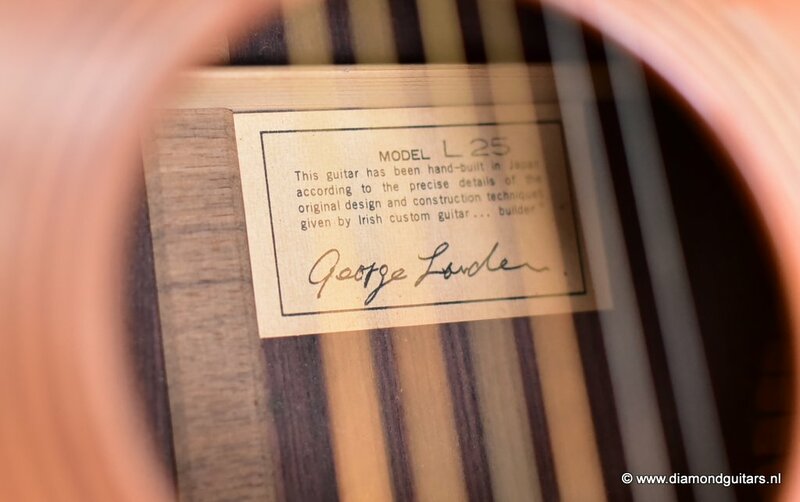 Quality driven as he is, George Lowden appreciate the painstaking attention to detail and the superb variety of world grade tonewood led to a collaboration which unfortunately ended for economic reasons. 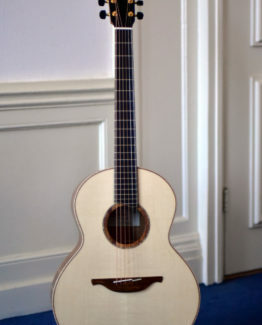 George imported many of the tool used in Japan and hired japanese guitar maker Micky Uchida as the production manager. 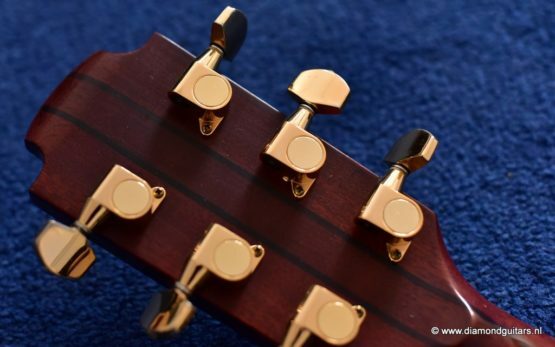 1 year Diamond Guitars warranty.